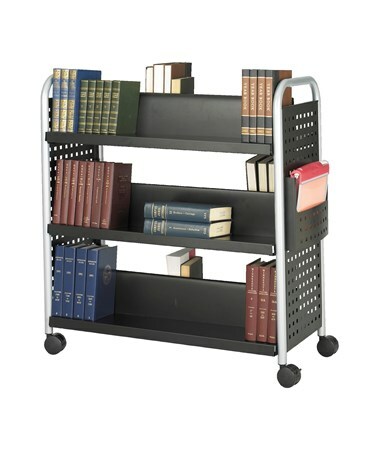 The Safco Scoot Book Cart is a tough storage unit that properly keeps books with its slanted 12-inch high shelves. 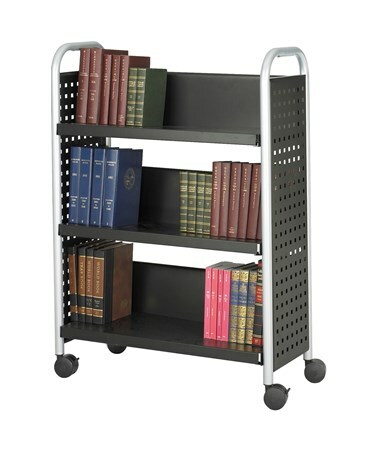 It has stylishly perforated side panels and tubular legs that connect the side handles and the hold cart’s wheels. These wheels are three-inch dual wheel carpet casters, two of which can be locked to keep the cart stationary. Also included is a height-adjustable file pocket for added storage. This bookcase is made of steel with a powder coat finish. It is safe for indoor use and does not emit harmful chemicals as certified by GREENGUARD. 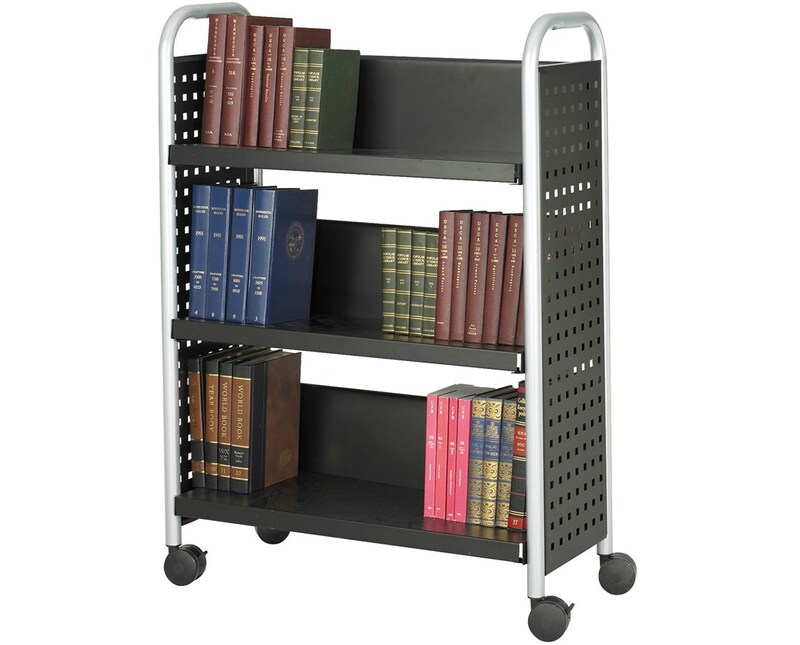 The Safco Scoot Book Cart is available in two types. Please select your preference from the drop-down menu above.